At Lulu’s Noodles, they don’t take cash and there’s always a bum out front. But, they have an entire wall filled with awards- Best Noodles, Best of Pittsburgh, Best Campus Food, etc. 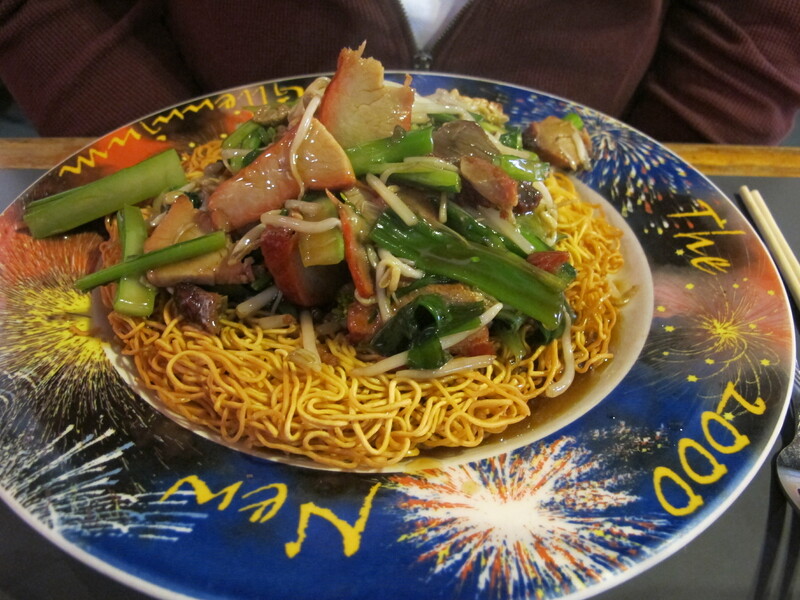 You can get lo mein, pad thai, pan fried, szechwan – any variant of steaming heap o’ noodle that you want. You can even get rice. The friendly, airy cafe also serves (very sweet) bubble tea, seaweed salad, Tom Yum soup, and scallion pancakes. Lulu’s menu travels all over Asia, but its customers don’t seem to care – the heavy base of students just likes the huge portions, all under $8. 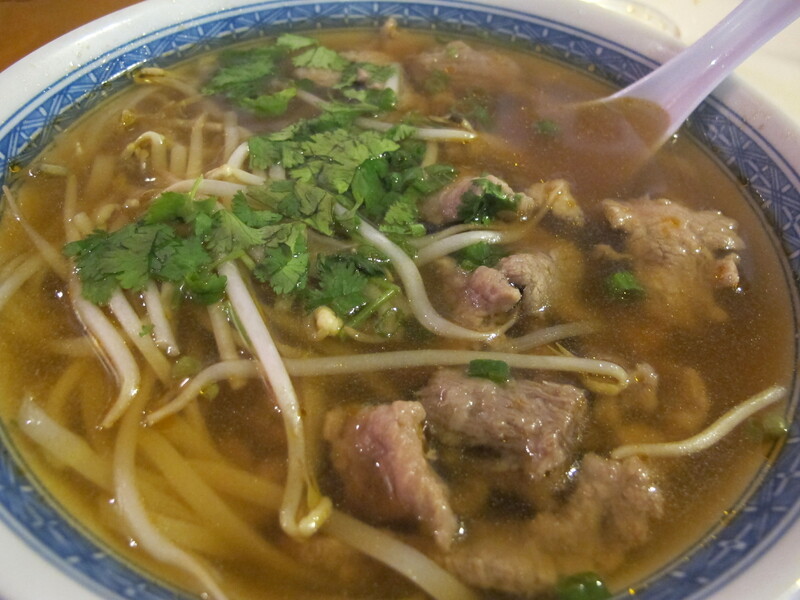 My bowl of pho was groaning with beef that had been floured, seared, and expertly finished in the steaming broth- where else can you get that for $5.95 (in cash)?